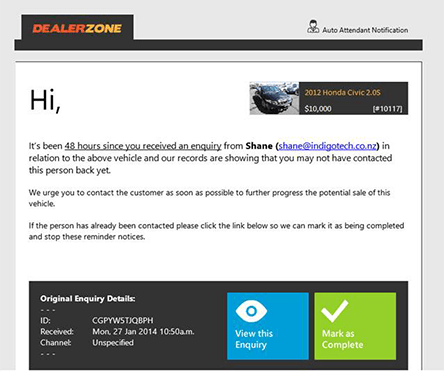 You can access all your incoming enquiries anytime at http://portal.motorcentral.co.nz. 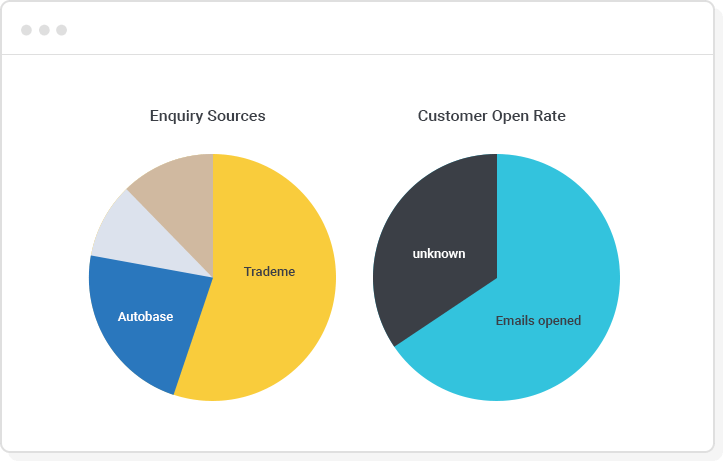 In here you'll see every enquiry (whether unanswered or not) received, all enquiry activities completed by your customer, as well as a summary of where your enquiries are coming from and how long it's taking it to respond to them. 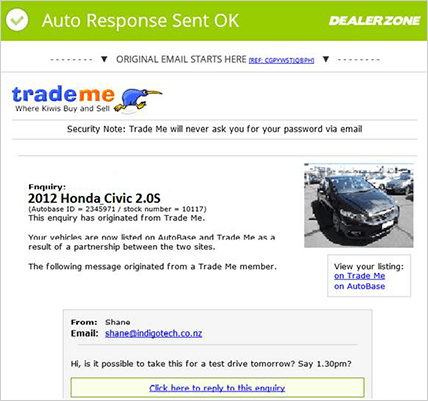 Auto Attendant will send you an email notification letting you know whether it has responded successfully to the enquiry. The original enquiry is included so you can directly respond to the customer. You'll also be notified when a customer requests a callback or test drive, ask for a trade-in appraisal or applies for finance. 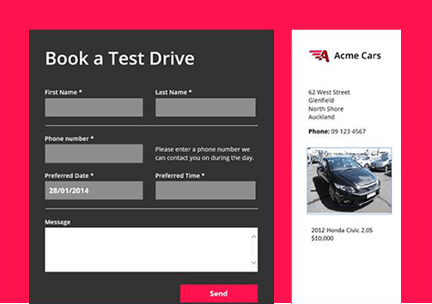 Auto Attendant is designed to capture information along the entire sales process. The original email and response are captured. Any button clicks as well as the information supplied by the enquirer. 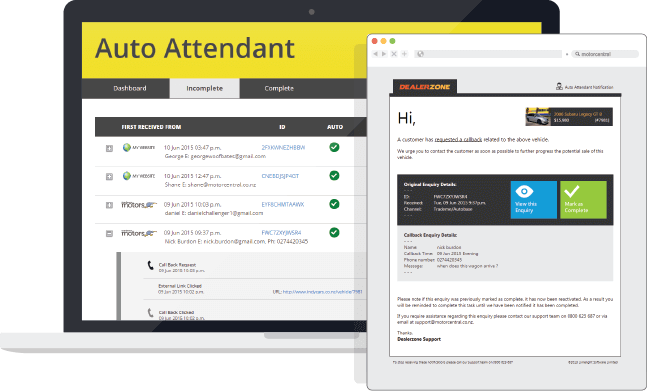 Auto Attendant makes it easy to manage enquiries and quickly see where they're at. Auto Attendant can automatically send you and your team reminders if enquiries haven't been followed up. Auto Attendant tracks where your enquiries have originated from so you can determine what advertising is turning into actual enquiries. It will also allow you to identify if a customer has read your email and the average time it's taking your staff to respond to your enquiries. Auto Attendant is available 24/7 from your mobile device. You can access all your incoming enquiries as well as any actions your customers have completed, great for seeing where things are at whilst on the move.